Large dams initially conceived of as ‘temples of modern India’ in the Nehruvian era came under increasing criticism in the later years due to social and environmental reasons. 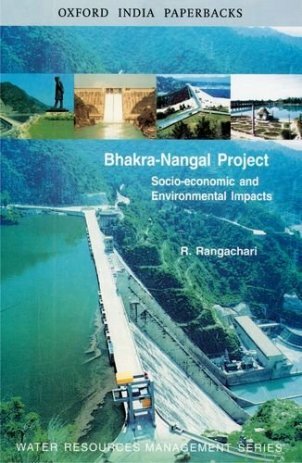 This book is an in-depth study of possibly the most well-known multi-purpose river valley project in India, the Bhakra-Nangal project. One of the very first scientific performance-analyses of a completed water project not only in India, but also from any other parts of the world, it examines objectively how far the stated objectives of the project have been fulfilled. The volume provides insight to the incidental and indirect consequences of the dam including its synergic impact and the ‘green revolution’, increased food production and productivity in the area; and the displacement and rehabilitation of people from the areas submerged when the dam was built. Informative, yet written in an engaging manner, this volume will interest environmentalists, technical experts, activists, bureaucrats, policy planners, and an informed general public who may have an interest in water development issues. This book is the first of five books the Centre is publishing on the actual impacts of large dams, both positive and negative, from different parts of the world.